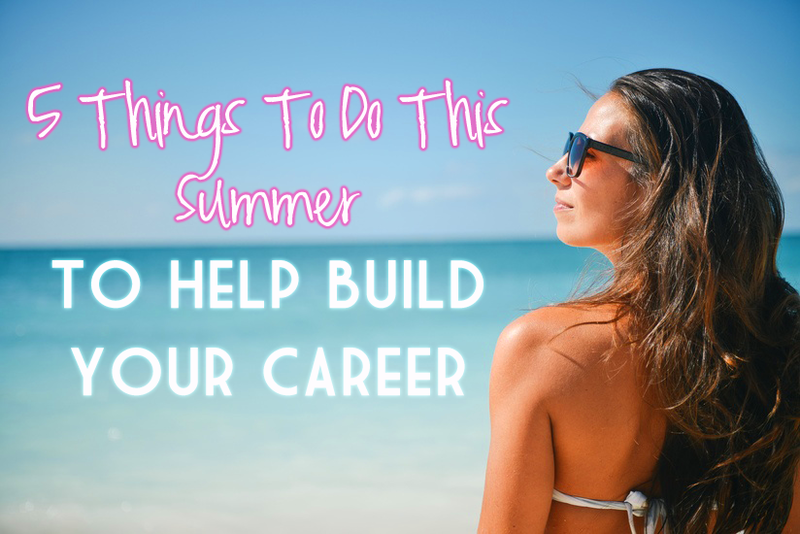 It doesn’t matter if you’re in college on break, or if you’re simply enjoying the warmer weather, summer is a great time to retool your skill sets and ramp up your resume to get a better job or promotion. With longer days and the chance to be outside (especially for those of us who live through brutal winters) summer is a great time to make the headspace, and add some time to your calendar to improve your resume and start building your career. You may be tempted to enjoy the lazy days of summer, but you can find plenty of resources to make your summer productive. The days are longer, so with newfound energy, you can tackle activities in the evening that might have felt tiresome when it was dark out in previous months. Spending time learning how to do photography, social media, website coding, or learning a new language could help you boost your resume power. Additionally, if you’re able to take an internship that could be worked into your time off from school, or the hours you’re not working, that’s a great way to maximize the longer days while adding valuable and potent lines to your resume! Volunteering is an invaluable way to get in touch with your community and it looks great on a resume. Here’s the thing about volunteering, you never know who you’ll meet and how it can lead to something greater down the line. A fellow volunteer may work at a company you’ve been wanting to work for, or they may want to hire you as an intern or freelancer. Or, during a job interview, your volunteer experience can help you get ahead of the pack and get your resume to stand out- you never know if your interviewer shares the same passions for causes as you. Of course volunteering is just great to do, in and of itself, but when you give work that’s unpaid and simply for the good of the community, you’d be surprised at the leads, friends and blessings it may bring into your life later down the line. Side hustle! If you can utilize the longer and warmer days to take up a temporary job that could either help you improve your skills or earn some cash for a few weeks, you’ll be ahead of the game. While families travel on vacations, can you petsit? When kids are home from school, could you babysit? Warmer weather means that folks need help with their gardens, walking their dogs, or are interested in taking family photos. Extra cash and experience gained in the summer can be put towards fall classes, books and career counseling to further your progress down the line. Plus, you might get a tan in the process! While you’re at it, take some time to get smart with that cash and use it wisely…you’ll thank yourself later while having an awesome summer! When it’s chilly outside, or it’s really rainy- people have a tendency to want to stay indoors. With longer daylight hours and gloriously warm temperatures, business leads are out and about, ready to socialize. If you haven’t used Linkedin or Meetup.com to find networking groups, you’re missing out! You can find small businesses, entrepreneurs or young guns in your age group that could help you down the line. Bring business cards, and be ready to listen, mingle and develop relationships. Of course, networking events aren’t all about promoting yourself, give more than you get. The contacts you gain in the summer months might mean business or job leads later in the year, so be patient and hand out a lot of cards or follow folks on Twitter to socialize afterwards. If you’re a college student, or are planning to go back to school- make sure you’re saving as much money as possible and avoid going into debt as a student. If you’re planning on applying to a university or want to save money on classes, there are plenty of ways to save money on classes– but now is the time to plan ahead! It’s also a great time to audit your spending- are you overspending on entertainment? Should you adjust your insurance coverage to better fit your needs? Have you checked your credit score lately? Since, gasp, Christmas seems to come sooner every year- the money you save now can be pocketed for a stress free holiday season.. or you know, a few extra pairs of flip flops or a new bikini now! I’ve been meaning to look into MeetUp.com. Most of the friends I had in Omaha have gotten married and/or moved away. I belong to Omaha Bloggers, but can never make it to the get togethers. Looking over the groups on Meet Up, I found a couple I’d really enjoy (there’s a women’s coding group?! REALLY?! :-D). 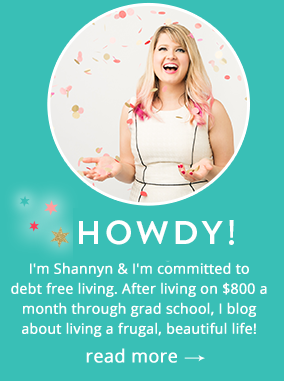 Very good info here, Shannyn! That’s awesome! I hope you have success with it-a lot of people have recommended meetup.com and I love it! Networking events are so important! Great tip! Yes, you should always be expanding your network! Do you have any tips on where to find online courses for things like coding or languages? I’ve heard good things about CodeAcaedmy and Duolingo. Lynda.com is great for just about anything, and I have heard of CodeAcademy and Duolingo as well. There’s also Code.org and CodeSchool.com! These tips are helpful. You can never be lazy when it comes to your career…work on it off and on as much as you can to meet new people and learn new skills. It’ll pay off later! Agreed! Developing skills should always be an ongoing project. That’s great to know-thanks for adding to this!